3 Tabemarche: a gathering of northern Hokkaido’s culinary delights. 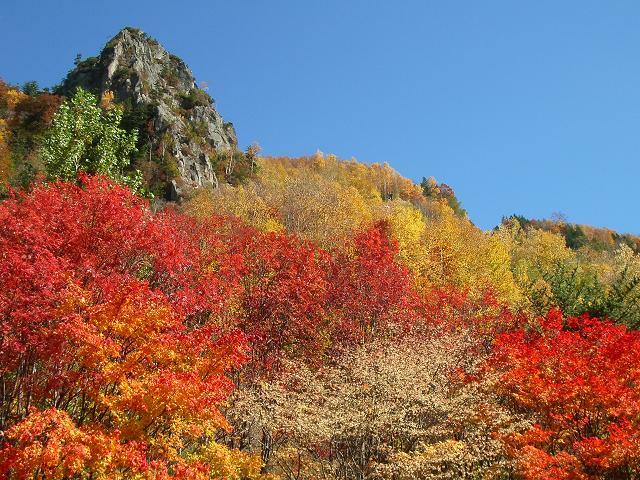 6 How is the temperature and climate in autumn in the Asahikawa and Kamikawa area? And what should I wear? 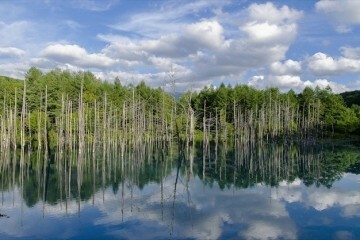 The first location I am going to recommend is Daisetsuzan National Park. 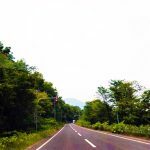 With a total surface area of 226,764 hectares, it contains not only the Daisetsuzan Volcanic Group, but also the Tokachi Volcanic Group and the Shikaribetsu Volcanic Group. This scenery of interweaving mountains with elevations of over 2000 meters is beautiful any time of the year, but during the autumn leaves season it is truly exceptional. At high altitudes the coloring starts around early September, which over the course of a month spreads out to the bottoms of the mountains. 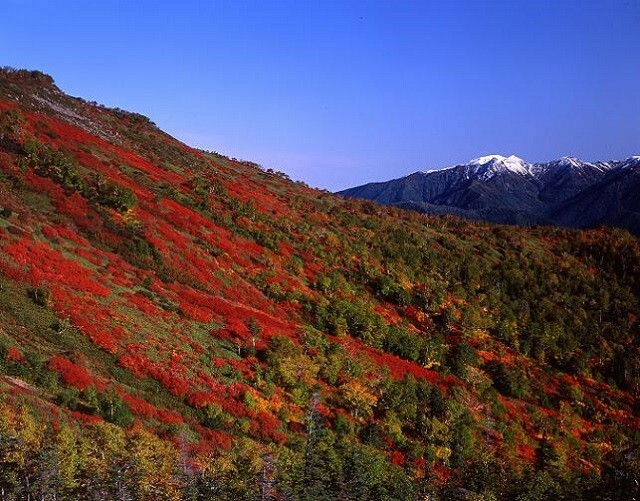 The color scheme of the mountains consists of green conifers, red Japanese rowan and lacquer trees, and yellow Weigela middendorffiana and maple trees. Mountain climbing in Daisetsuzan National Park involves bracing the cold even in summer, and can be dangerous when not accompanied by an experienced guide. 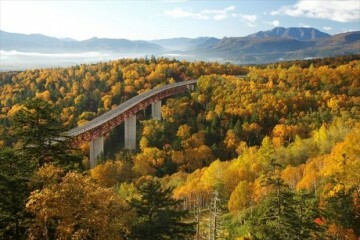 By the time autumn colors appear, the circumstances for mountain climbing are already quite harsh. However, the trail around the Daisetsu Highland Marsh (the Daisetsu Kogen Numa meguri course) is relatively low altitude and suitable for beginners too. The reflections of the colored leaves on the lake is a sight of breathtaking beauty. 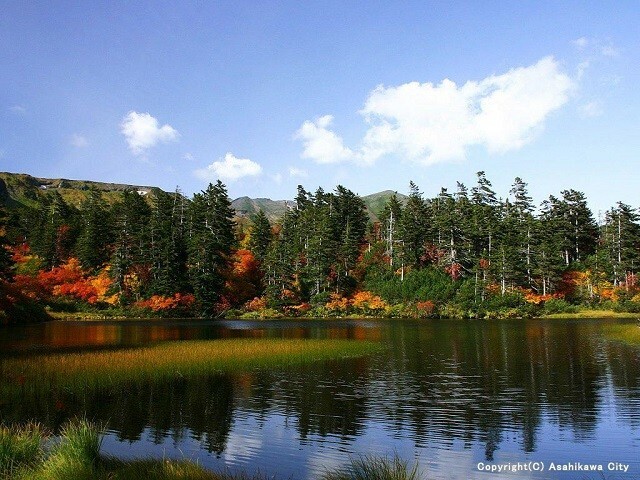 When mentioning the autumn colors of the Asahikawa and Kamikawa area, Sounkyo cannot be left out. Sounkyo is a range of gorges at the base of the Daisetsuzan mountains. The cliffs carved out by the Ishikari River span 24 Km. The interplay between the bare rocks of the cliffs, waterfalls tumbling between them, and autumn leaves all around is well worth seeing. Sounkyo is also an area of hotels and ryokan in some of Hokkaido’s few onsen towns. Viewing the autumn leaves from one of these establishment’s rotemburos (open air baths) is a very pleasant experience. 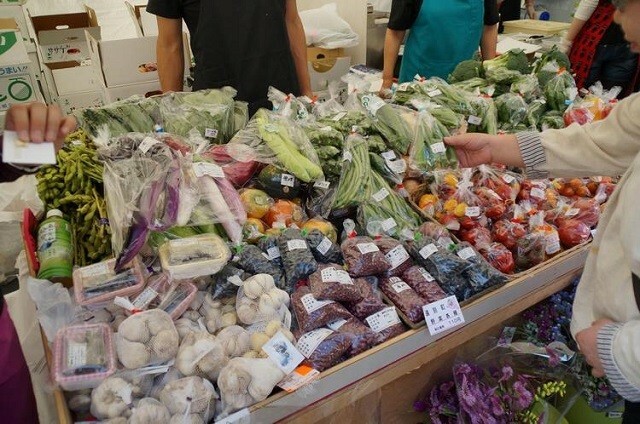 Tabemarche: a gathering of northern Hokkaido’s culinary delights. 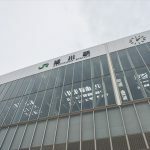 Aside from lush nature, the Asahikawa and Kamikawa area is also part of a thriving agricultural region, and its harvest season produces lots of tasty food. Tabemarche is the name of the event at which you can enjoy these tastes of autumn to the fullest. Tents are set up in Asahikawa at various locations, such as the square in front of Asahikawa Station, and Heiwadori-Kaimono-Koen. Sold inside the tents are not just specialties from the Asahikawa and Kamikawa area, but also dishes with ingredients from all over the northern Hokkaido mountains and seas. 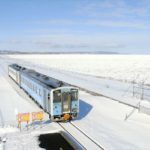 In other words, a great opportunity to sample much of what northern Hokkaido has to offer in delicacies, all in one convenient location. Establishments include not just eateries, but also stands directly selling freshly picked ingredients. Exactly the kind of atmosphere you would expect from a marche (the French word for market). #As farmers growing farmers and agricultural cooperatives are selling, you can challenge unfamiliar vegetables to taste good way of eating. #Events are held from morning till evening, but popular gourmet and ingredients can be sold out as soon as possible. #It is recommended that you take a strategy to decide what to buy at what store and participate after seeing the guide map in the official website in advance. #Located in the northeast of Asahikawa city, Aichi Town is famous for its delicious mushrooms. #The event which can eat a lot of mushrooms that are such taste of autumn is the mushroom festival. #Its name in Ajibutsu Dam is also the most popular event to be held at “Mushroom no Sato” open space, all you can eat with mushrooms and beef. #You can also enjoy delicious food in Aichi-cho, such as jumbo mushrooms made from big pots and rice cooked in a large oven with harvested rice. 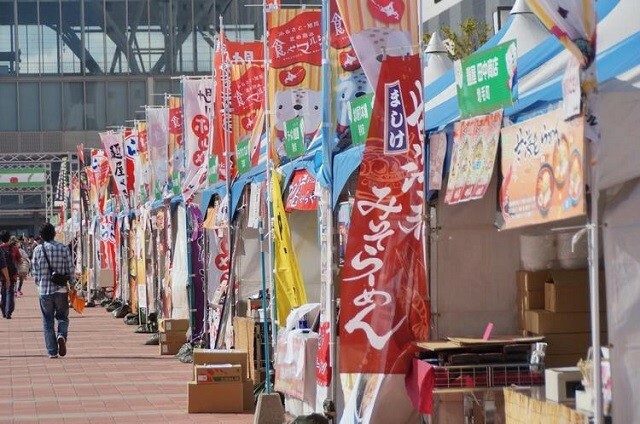 #Since special products are also sold at the venue, let’s buy Aibetsu and famous items from the surrounding area as souvenirs before returning. 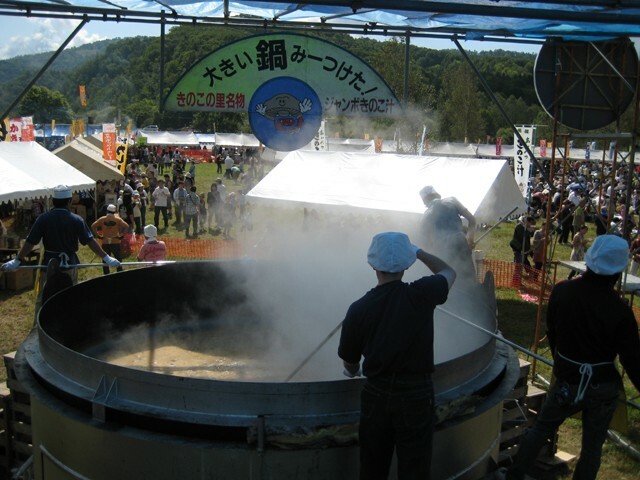 #Horokanaicho, located in the north of Asahikawa city, has soba production in Japan. 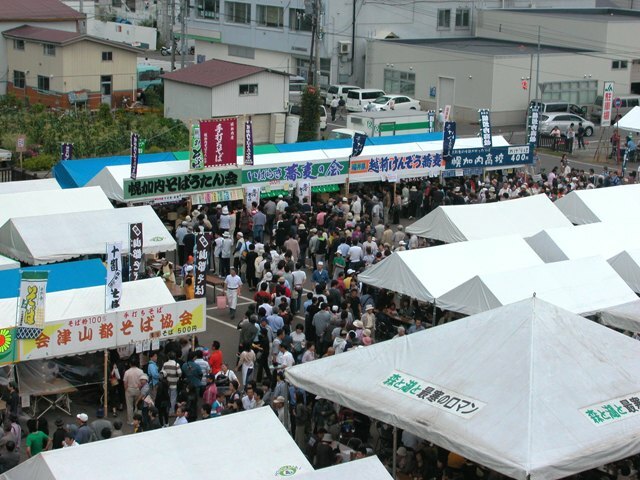 #Horokanai Town New Buckwheat Festival is held after such harvest in New Horonobecho. #Events held around the Horokanai Town office as a venue are plentiful contents such as opening shops for buckwheat noodles and soba nocturne seminars. #In eating walking plazas where you can taste soba, you can eat more delicious buckwheat from all over the country as well as buckwheat from Horokanaicho, so you can eat it. 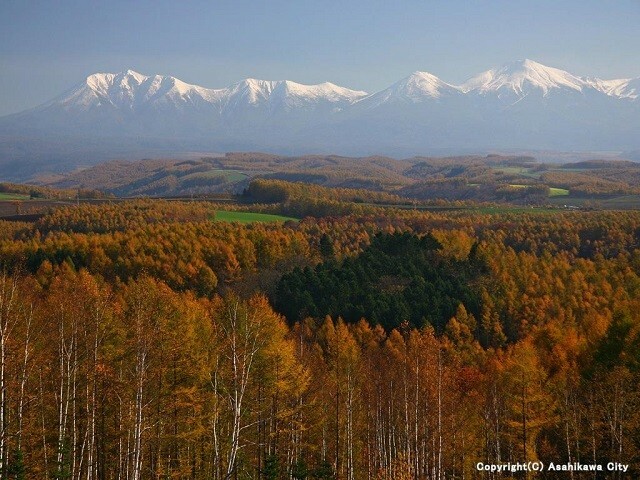 How is the temperature and climate in autumn in the Asahikawa and Kamikawa area? And what should I wear? 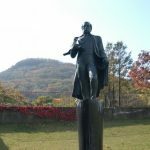 One question that comes up when visiting the Asahikawa and Kamikawa area in Autumn is what kind of weather and temperature to expect. #The average temperature in Asahikawa city at the beginning of September is often the highest temperature of 23 ℃ · the lowest temperature of 16 ℃, and the lowest temperature will be minus from the middle of November. 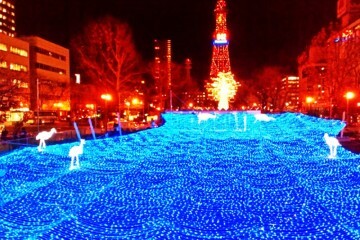 #However, the temperature here is the temperature in the city center to the last. 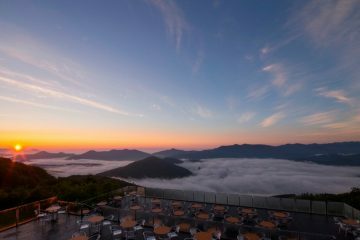 #At high places such as Daisetsuzan National Park, the temperature goes down and the temperature goes down. #Asahikawa in September is also the period with the most precipitation during the year. #In the Asahikawa – Kamikawa area in autumn when the cold will increase, even in the case of sightseeing the city area of ​Asahikawa, we recommend clothes which corresponds to the winter of the Kanto region. 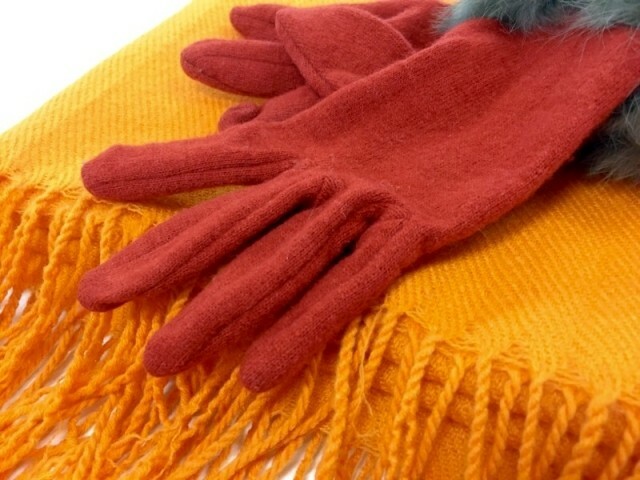 #Since morning and evening are especially cold, it is convenient to have warm accessories such as gloves and mufflers. 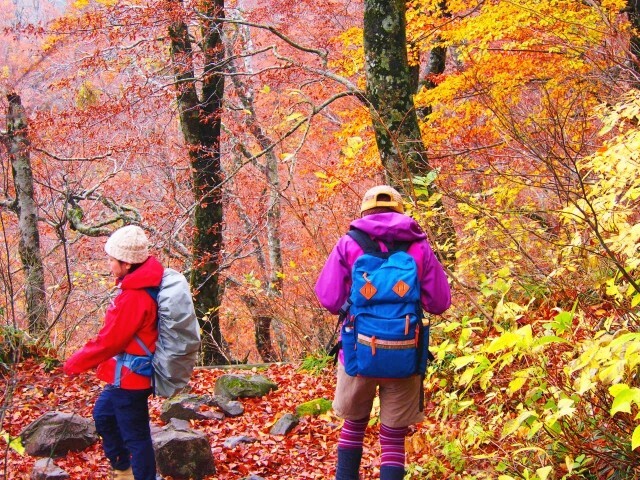 #If you go to sightseeing in Daisetsuzan National Park, mountain parka and rain gear etc, even if it is not a full-scale mountaineering, it is safe to do thorough equipment. I introduced recommended spots and events, the climate and recommended clothing for the Asahikawa and Kamikawa area in autumn. 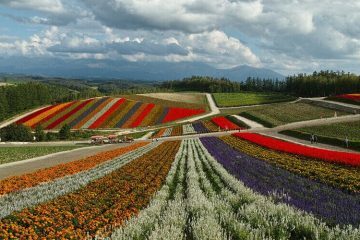 This area is known for its severe winter cold even by Hokkaido standards. Please enjoy trekking and food with Warm garments and full-fledged equipment.